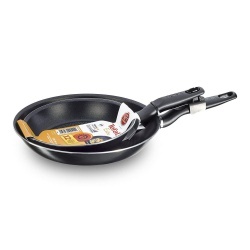 The New Tefal 12cm One Egg Wonder is great for frying the perfect egg. 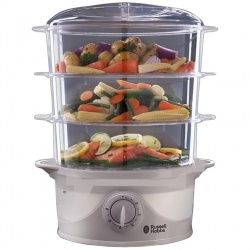 It can also be used to sauté vegetables heat up sauces, fry spices and more. The Morphy Richards 2-slice sandwich toastie maker, makes 2 rounds of deep filled sandwiches.It has non-stick plates for easy cleaning, cord storage to keep things nice and tidy. Add a little more convenience to your morning routine with the Egg Cooker and Poacher from iconic housewares brand Tower. Boiling up to seven eggs and poaching one, this handy appliance means that you can rustle up a cracking breakfast in no time. Simply place your eggs into the egg tray press the power button and wait for your eggs to be cooked to perfection. 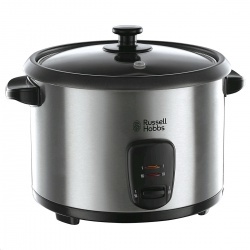 The appliance automatically powers off when the water boils giving you a perfectly cooked result every time. The egg cooker also features a number of safety features including automatic power-turn off and over-temperature protection. An everyday range with Thermospot technology. Tefal heat indicator lets you know when the pan has reached the optimum temperature to start your cooking by turning solid red in colour you won’t run the risk under or over heating your food, which means evenly cooked food each time you cook. The powerglide non-stick coating ensures that no food will stick to your pan and washing up is a breeze; just a simple wipe clean with warm soapy water will remove burnt on food very easily. The comfortable bakelite handle is oven safe up to 175°C, gas mark 3, 325°F for up to 1 hour, which means you can start your cooking on the hob and finish it off in the oven. Suitable gas hobs and dishwasher safe. Make cooking easier than ever before with this Tefal Harmony Pro Frying Pan. A stylish and high performance titanium force coating with anti scratch resistance for a longer lasting lifespan. Comes featured with the exclusive Thermo-spot technology to allow you to know when the temperature is perfect to start cooking so no more worries over food being under-cooked. This Russell Hobbs sandwich toaster cuts and seals 4 rounds of bread, creating 2 delicious toasted sandwiches at a time. 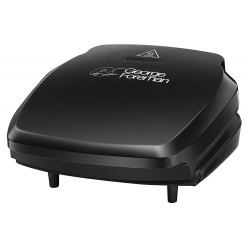 The sandwich toaster has a smart black exterior and is non-stick with easy to clean plates, has a handle with a locking clip and has a power on and indicator light. 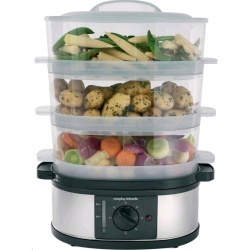 Steam vegetables, potatoes, chicken, rice and fish with the Morphy Richards 3 Tier Food Steamer. Steaming can be one of the healthiest methods of cooking as it retains more of the natural vitamins and minerals in food and removes the need for added fat. 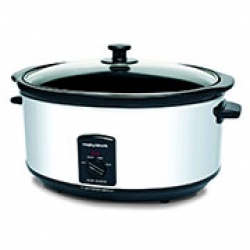 The Morphy Richards 3 Tier Food Steamer boasts a 9 litre capacity and comes with a 1.1 litre rice tray. Features include a 60 minute timer with warning bell, a visible water gauge and easy-fill handles so you can safely top up the water while steaming. The trays and lid are dishwasher safe and the removable drip tray makes the steamer easy to clean. The stackable tiers are convenient for storage. The Morphy Richards 4-slice black sandwich toaster maker, makes 4 rounds of deep filled sandwiches. It has non-stick plates for easy cleaning, cord storage to keep things nice and tidy. A large capacity Coolwall Fryer, great for the whole family. Maxi Fry has an adjustable thermostat with temperature ready indicator light. A compact and powerful 1600W fryer for your favourite fried meals and snacks! The compact Tefal Maxi Fry fryer saves on storage space in the kitchen but still has a large 1kg food capacity. The Maxi Fry is convienient with its automatic lid opening, carry handles and large viewing window and is safe to touch thanks to its cool wall body. This fryer also features a fixed bowl with an oil capacity of 1.8L and an adjustable thermostat with temperature indicator light.